Northwestern University asked Gensler how they could systematically upgrade and unify their diverse interior common spaces. These spaces are highly trafficked and often at the forefront of prospective student and faculty tours but tend to function as leftover spaces. This strategic process covered 2 million square feet of space, 110 buildings and both an urban downtown campus and a historic Evanston campus. On this project, I was able to work directly with a diverse team of architects, interior designers, brand designers, strategists, analysts, and data managers. Four months of information gathering and detailed assessments coupled with purposefully designed guiding principles formed the basis for the design strategy and standards document. 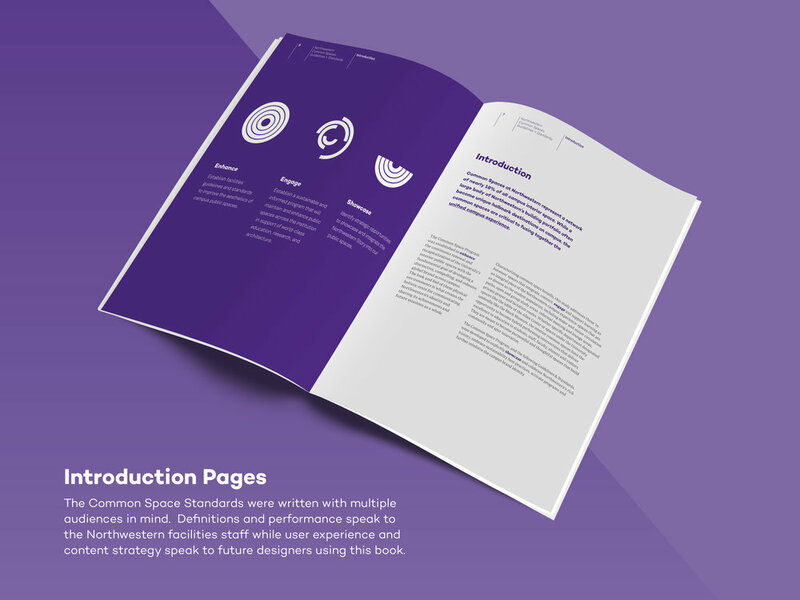 The standards document covers all physical elements found in common spaces, including brand experience and wayfinding. 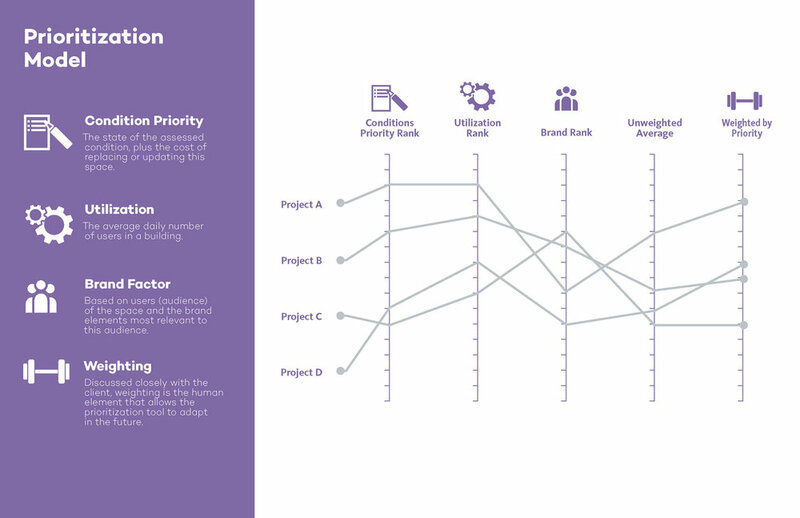 The assessment was also used to develop a model to prioritize projects based on the gap analysis between the current and desired states of spaces on campus. The standards were implemented through a number of renovation projects including a staff breakroom, theater lobby and university library. Through this work we were able to realize the intent of the program and validate the need for a cohesive global brand throughout the campus. To view an in-depth summary of this project, click here.